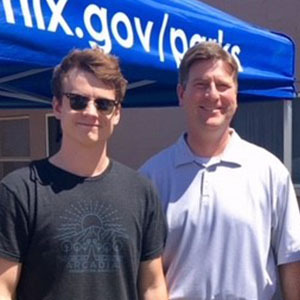 During a 4 month internship, Ethan McCloskey, a Bachelor’s of Science student at the School of Sustainability, used his drive and work ethic to participate in the Stardust Affordable Housing Internship with the City of Phoenix. The department was so impressed with his work that now, after graduation, he is employed with his former supervisor expanding on the projects he worked on as an undergrad. 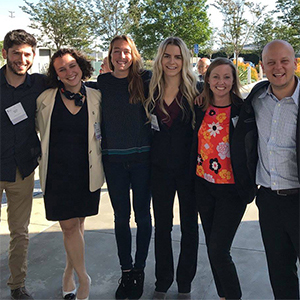 Devon Rood completed her Solar Duck Curve and Sustainable Storage Options project in April 2018 as the culminating project for her Master of Sustainability Solutions (MSUS) degree. Working with Arizona Public Services (APS), Rood’s goal was to evaluate the most sustainable energy storage option out of the three potential options APS was considering. These included pumped hydro energy storage, compressed air energy storage, and Lithium-ion batteries. As a professor, it can be hard to implement real-world projects and activities into lesson plans. That’s why a team of Arizona State University sustainability researchers, staff and students created a website, “Real-World Learning Experiences for Sustainability,” to help instructors design different kinds of applied projects and implement them into coursework. 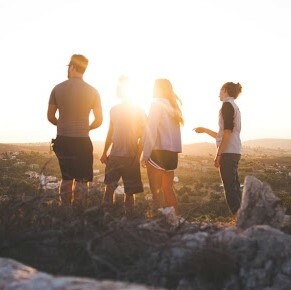 “We wanted this to be an open access tool to help facilitate real-world learning — not just at ASU, but anywhere in the world,” said Sydney Lines, Project Coordinator for Sustainability Connect, a platform for applied projects in sustainability problem solving at the Julie Ann Wrigley Global Institute of Sustainability. Lines designed the RWLE website using content developed by Katja Brundiers, a School of Sustainability Assistant Research Professor; Aaron Redman, a School of Sustainability doctoral student; and Dorothy Trippel Broomall, a School of Sustainability alumnus and adjunct faculty member. The RWLE are divided into four levels: beginner to advanced, or freshman to senior. Each level revolves around a different concept: bringing the world into the classroom, visiting the world, simulating the world and engaging the world. The website provides a toolkit for each level of learning, including activities connected to the School of Sustainability’s core competencies, downloadable resources, links to videos and other assets, and featured real-world examples. As the largest university in the country Arizona State University inevitably makes quite a bit of waste. Sure we have a Zero Waste initiative, and we recycle and compost, but there are often items, large and small, that get overlooked. Students are helping to fill the gaps. In spring 2018 a one-credit course was created as a cross-disciplinary effort between the School of Sustainability (SOS), University Sustainability Practices (USP), and the Herberger Institute for Design and the Arts (HIDA) to bring students of different disciplines together to collaborate on a sustainability-focused art project. 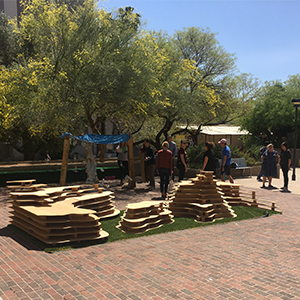 Students were charged with the task of developing a prototype of an outdoor common space for the Tempe campus. They focused on waste, recycling, and circular resources and were then released to complete the project with guidance from a team of staff from SOS, USP, and HIDA. The intention of the final installation was to engage campus visitors, students, staff, and faculty who move through common spaces at ASU. Groups were encouraged to consider innovative materials and construction processes for their installations. Class time comprised of talks by artists, designers, and sustainability experts to give students an idea of the kinds of projects they could create, the specific issues they could focus on, and free time to work on their designs. Once student teams moved through development stages, they received approval to construct their proposed installation. Students were judged by ASU student peers, selected staff, and faculty. Funding and scholarship opportunities were also available for this group and were judged in a competition setting. Creating a community garden near the Tempe Academy for International Studies (TAIS) starts off like many other projects: with the acquisition of funding. Students in the Project Based Modular Learning (ProMod) sustainability program decided to take a more creative approach. Justyn is a Sustainability undergraduate studying Sustainability with a Policy and Governance concentration and a minor in Justice Studies. From August to November of 2017 he created a comprehensive checklist of sustainable business practices for hotels, lodges, and resorts. 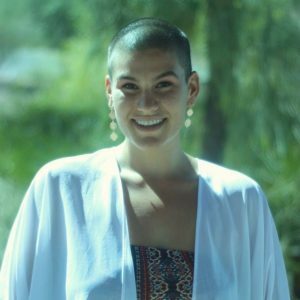 It served as the bridge between sustainability and hotels, lodges, and resorts across the entire state of Arizona, and it was very difficult to create a statewide program that is large enough to be effective yet not so large that it becomes unwieldy. The checklist is part of a larger Green Certification Program that is currently being developed by the Arizona Lodging and Tourism Association (AzLTA) in conjunction with Arizona Department of Environmental Quality (ADEQ) and the Environmental Protection Agency (EPA). It’s a step toward creating a more sustainable, functional business model. 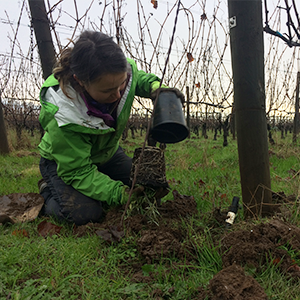 Christine Carmazzi, an undergraduate student pursuing her Bachelor’s in the international development track, was able to obtain the highly sought after Sustainability and Harvest internship at the Patton Valley Vineyard. Although Christine believes the most important part of her internship was that she built a monarch butterfly sanctuary, she admits that she feels particularly lucky to have stomped around in a tank of grape juice. Since August 2016, an interdisciplinary team of ASU design and sustainability students and faculty have been working on a group project called “Water is Life” with local Hawai’ians to imagine a more sustainable Hawai’i. 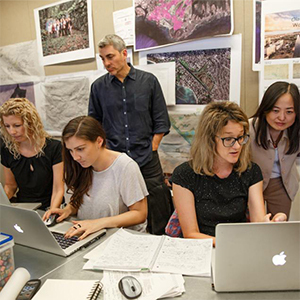 We followed up with Leah Gibbons, PhD student, Sustainability; Paul Coseo, Assistant Professor, The Design School; and Chingwen Cheng, Assistant Professor, The Design School to talk more about the future of the project and its continued impacts. We had a wonderful array of student projects this 2016-2017 academic year covering a vast landscape of topics. We decided to make a video montage to celebrate the solutions-oriented projects students worked on this year. 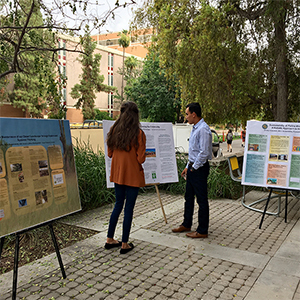 On April 24, 2017, Decision Center for Desert City, a unit of the Julie Ann Wrigley Global Institute of Sustainability, conducted an Open House and Student Project Showcase. 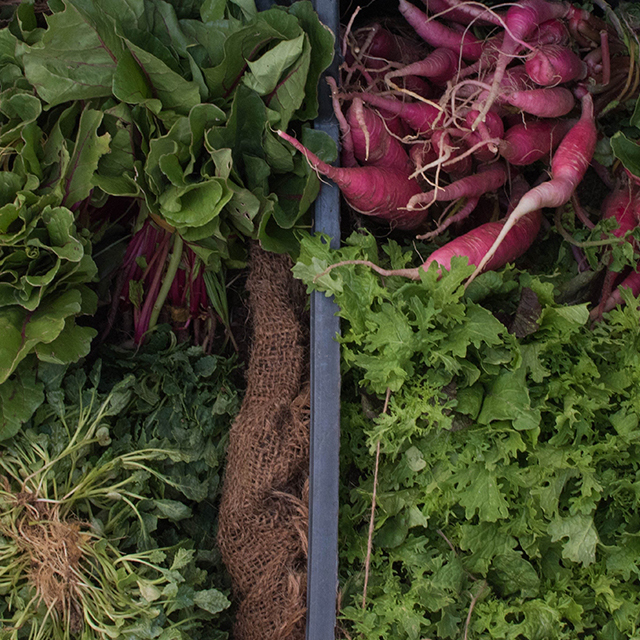 Following a great success with the Rescued Food Feast Event last year, seven organizations came together to make the event even bigger this year with “Food Systems and Beyond” on March 29, 2017. 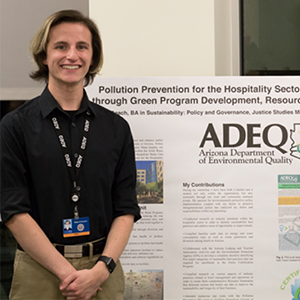 Torin Sadow, a BA alum in Sustainability and Urban Dynamics and a BS in Planning, took on a challenging project as a Sustainability Intern with the City of Bisbee Public Works. Sadow was responsible for helping the City of Bisbee create a municipal sustainability plan. 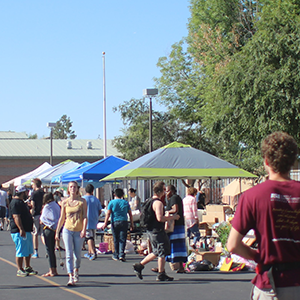 From August 2015 to May 2016, students enrolled in the project-based, modular learning (ProMod) sustainability program worked with the Tempe Academy of International Studies to create a vision and plan for a community garden on the school grounds. 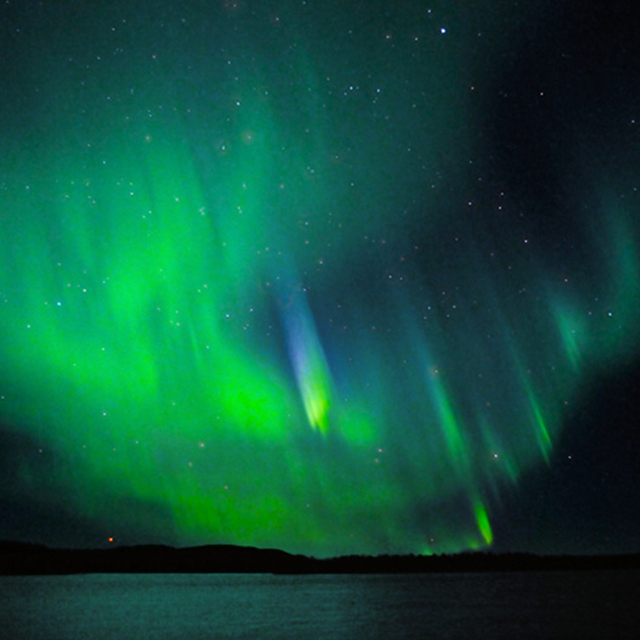 The GREEN program offers interested students short-term, experiential learning opportunities in Iceland, Peru, Japan, and Hawai'i. Each program is designed around the United Nations 17 Sustainable Development Goals with an emphasis on hands-on learning in real-world scenarios while being immersed in new cultural contexts. Anna Jean Bettis is a dual Sustainability alum, having first completed a Bachelor of Arts with an international development track and recently finishing her Masters of Sustainability Solutions (MSUS) at ASU with a focus on conservation. Join Green Living magazine for their first annual Simple Solutions Summit in partnership with the VerdeXChange Arizona conference on six pillars of sustainability: Air, Education, Energy, Food, Water and Waste. Cyclists at ASU and in Tempe should check their bike cages during the week of Oct 24th. 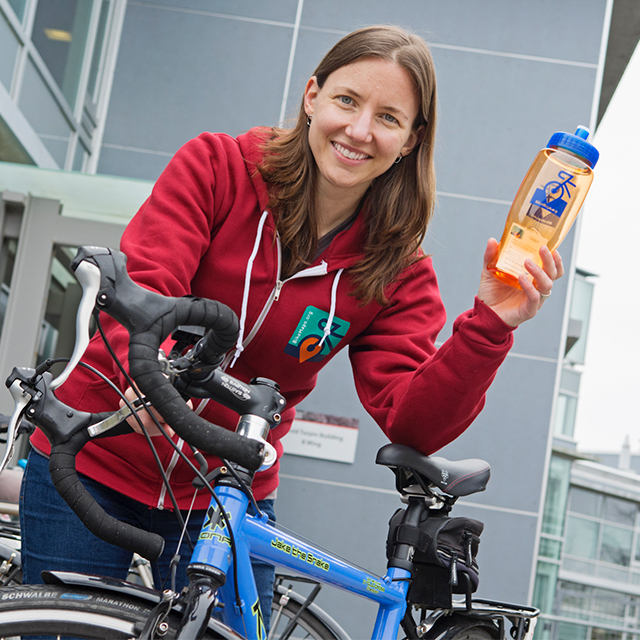 In conjunction with ASU’s bike month, a team of BikeMaps.org volunteers lead by Dr. Trisalyn Nelson will be delivering water bottles to bike racks across the region in the hopes of raising awareness about cycling safety. 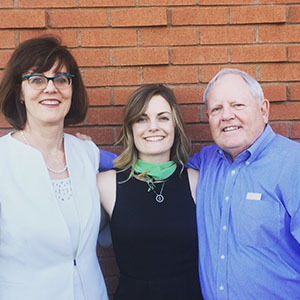 Molly Cashion, a recent MA graduate in Sustainability (May 2016), worked on a project in North Scottsdale with Mountainside Middle School from August 2015 thru May 2016 funded by both the School of Sustainability at ASU and a GK-12 grant.